We greatly appreciate anyone linking to our site. Please select the type of link best suited to your site. Thanks! Description: Online Vacation Rental Software for the private owner. Simply copy the entire code to the right of the button you would like to use and paste it in the html on your site. Send us your web address and we will be glad to add your site to our Links! Description: If you are looking for travel experts or a travel specialist. TravelGuide-Egypt.com gives you access to exclusive travel service, We provides tourism related services on behalf of suppliers such as airlines, hotels, cruises, We can help you plan and book your trip to Egypt, whether you're on a budget or wish to experience a luxury holiday. Description: Sailing vacation in Greece. Greece yacht charter deals. Description: All about sailing holidays to the Cyclades. Description: The quick & easy guide to advertising, renting, managing and making money from your second home. Description: The #1 resource for rental property owners. Description: Find the perfect rental for your next vacation anywhere in the world with HotStays.com. View thousands of the hottest destination and properties. Also enjoy guaranteed low rates on Hotel reservations. Description: You and your family/friends can affordably stay in a mansion or direct oceanfront beachfront and enjoy all the amenities of home, including full kitchen, game room, entertainment system, private pool and more. Find the best Daytona Beach vacation rentals. Description: Take your next vacation in the North Georgia Mountains and stay in one of our Blue Ridge Cabin Rentals. Find out all the things to see and do in our area. Description: International Real Estate Directory and Property Listings! Description: JustDirect.Net, provides vacation rental owners (and agents) with the opportunity to add an unlimited amount of holiday rental adverts for FREE. There is no free trial period, no commission, no fees - no catch! Description: Agee & Agee Partners is an Arkansas-based company that specializes in unique, commercial and residential developments. Description: Vacation Condo on Sandy Beach in Rocky Point, Mexico. Description: Provides various residential properties online listed in the vast RentMLS database including Alabama apartment rental, Alabama short term rental and Alabama vacation rental. Description: A Bar Harbor vacation rental offers you all the comforts and luxury of a classic accommodation for Bar Harbor Maine vacations. Description: A Maine beach rental is a popular choice for the perfect lodging for a family beach vacation in Maine. Description: New 2 Bedroom 3 Bath Condo has a Luxury Kitchen with Stainless Steel Appliances & Granite counter tops, (3) Fireplaces, (3) 27.5" Flat Panel Plasma TV's, A Large Covered Secluded Deck, & Covered parking with direct access less than 4 feet from the unit. Description: JY Monk is the largest real estate school in North Carolina with NC real estate courses offered throughout the state. Description: Vacation rentals in Madeira Beach. Description: Hilton Head Hideaway Rentals is your online portal to a place on the sand that will allow you to play in the ocean waves and enjoy the beach. All of our vacation homes and villas are ocean oriented! Description: China Airlines air tickets on CheapoAir.com. China Airlines is based in Taiwan and is the national carrier of China, flying to more than 47 destinations in Asia, Europe, North America and the South Pacific. Description: Come fish aboard the Destin charter boat Bounty Hunter. We fish year round and offer 4-12 hour trips. Description: Lifestyles Realtors offers a great selection of real estate, condos & homes for sale in Jacksonville Florida. Description: Constec Realty offers a great selection of real estate, condos & homes for sale in Miami Florida. Description: Holiday rental properties, traditional country homes, farmhouses & chateaux in the Dordogne & west France. Description: Welcome to the Las Vegas Homes MLS Search this will be the only tool you will need to find the best value that meets your criteria .We provide free listings of Las Vegas Homes MLS Search For Sale, Las Vegas Real Estate and Las Vegas Realtor. Description: Tower Homes offers you an opportunity to own affordable new homes in Greenville, Spartanburg and Anderson, SC area. 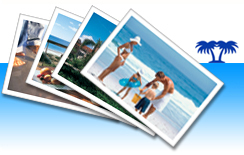 Description: Cheap package holidays, late deals and all inclusive holiday bargains abroad from Directline Holidays.